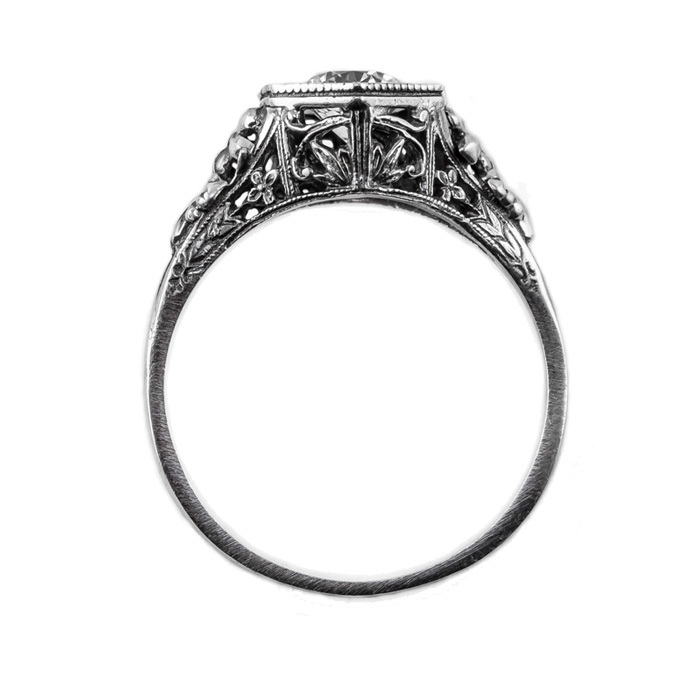 There are few things that compare to the beauty of this piece of jewelry created by the experts at Apples of Gold. The trend of vintage jewelry is forever vogue. Oh the festival of colors in the sunny days of summer. The birthstone for November is yellow citrine, and Apples of Gold has a unique gift idea. 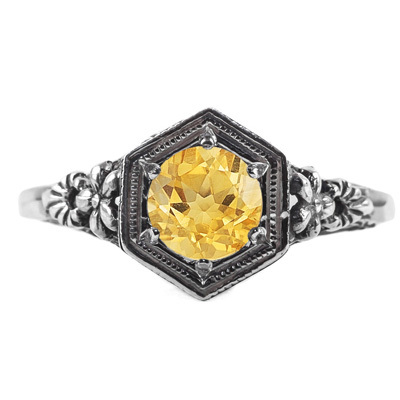 This sparkling and sunny yellow citrine gemstone is set in a vintage inspired women's ring nested in 14K white gold. Buy one as a gift for yourself or every woman on list. This yellow citrine gem is sure to delight. 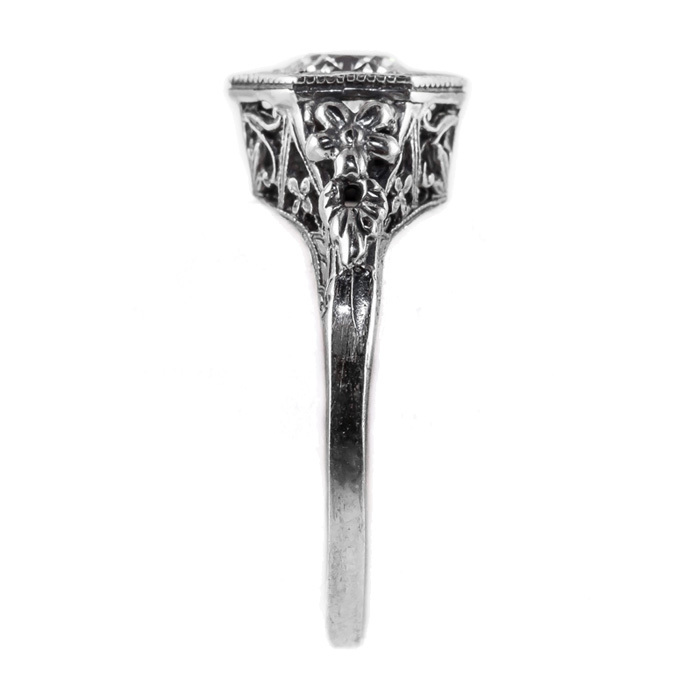 This lovely ring measures 5mm and is available to ship today. The floral touches and the sunny citrine gem are sure to delight. We guarantee our Vintage Floral Design Citrine Ring in 14K White Gold to be high quality, authentic jewelry, as described above.